Horns swooping straight back... She is something to look at. Beautiful McGill Reg. 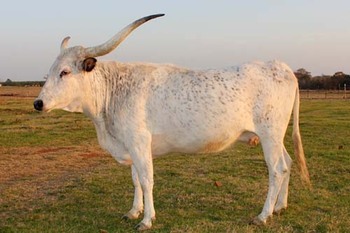 Texas Longhorn Cow.